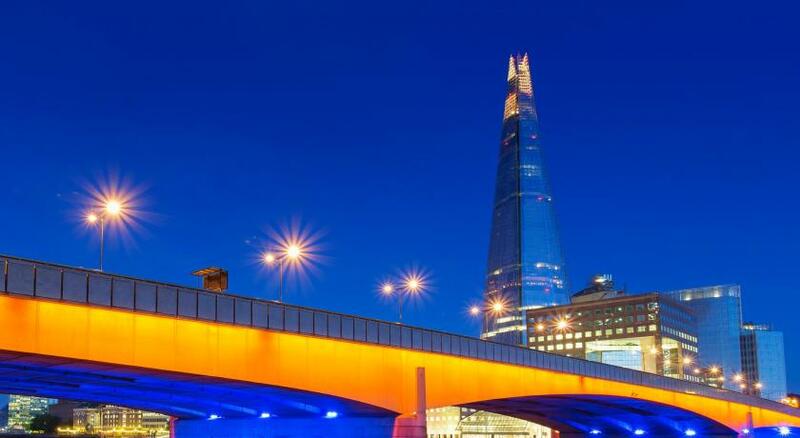 Lock in a great price for Shangri-La Hotel at The Shard, London – rated 9.4 by recent guests! Everything!! We have travelled all over the world and stayed in some beautiful hotels but this one was by far, the best. A wonderful celabration weekend. The views are tremendous. Clean windows. Working lifts. Easy access. Stylish decor. Tables for handbags. Room was comfortable and food at breakfast was good quality. Lovely to have afternoon tea in our room! Staff are excellent. TĪNG bar has great views. Expensive but worth it. Pool area is brilliant. Amazing views and the service was above and beyond. The view from the lobby and the room was amazing as expected but the helpfulness from staff exceeded expectations. Rooms were clean, bed really comfortable. Hotel is conveniently located right next to London bridge station (both underground and railway that has direct lines to Gatwick airport). Would stay here again. Great night here to celebrate turning 40. Amazing views, shame it was a bit overcast on the day of our visit. Loved the room, very comfortable and a great bathroom (well equipped), if a bit dark. Liked the robes available in the room and the many small touches/complimentary items to smooth the stay - binoculars! 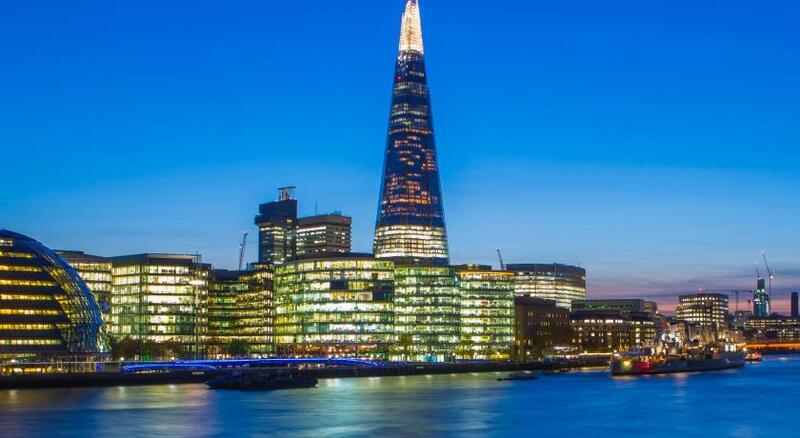 Shangri-La Hotel at The Shard, London This rating is a reflection of how the property compares to the industry standard when it comes to price, facilities and services available. It's based on a self-evaluation by the property. Use this rating to help choose your stay! 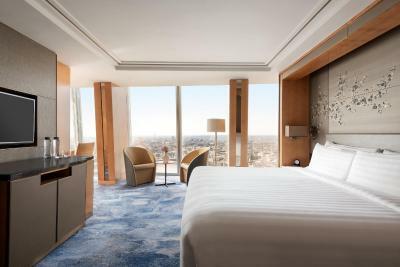 Occupying levels 34-52, the Shangri-La Hotel at The Shard, London offers 5-star luxury and breathtaking views of the capital and beyond. It features an exquisite restaurant and serves cocktails until late at the highest bar in London. 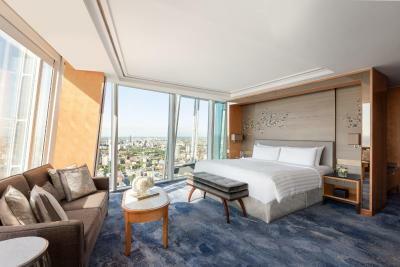 Each uniquely designed guest room has floor-to-ceiling windows providing spectacular views of the city, and maintains the theme of Oriental elegance found throughout the hotel. Featuring the body-contouring-technology ‘Shangri-La Bed’, rooms include a TV, iPod dock, coffee machine, complimentary WiFi and a set of binoculars. The en suite, marble-clad bathrooms have underfloor heating, separate bath tubs and a glass-enclosed shower. 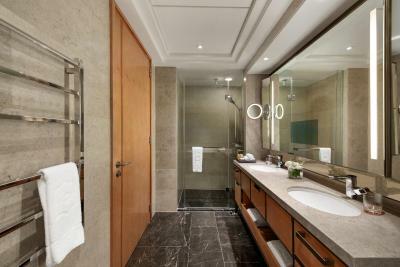 They include plush bathrobes, Acqua di Parma toiletries and mirrors with integrated TV screens. 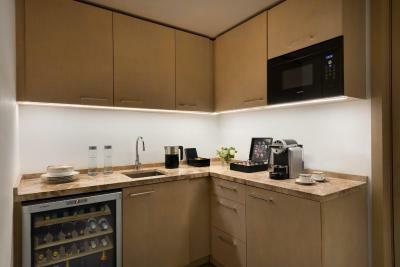 All rooms feature climate control to complement the building’s integrated sun shielding. 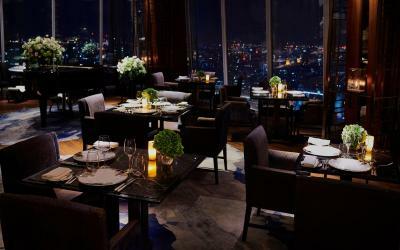 The hotel features 3 dining and drinking venues, including TING, the signature restaurant and lounge on level 35, while Bar 31 is a friendly neighborhood bar. GŎNG, set on level 52, provides the setting for London's highest champagne and cocktail bar. Shangri-La Hotel at The Shard is located on St Thomas Street, less than 1 minutes' walk from London Bridge Train and Tube Station. 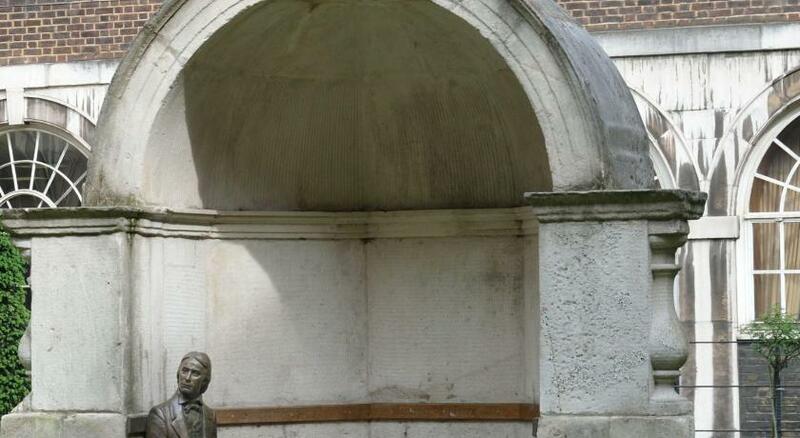 The Tower of London and Tower Bridge can be reached in 20 minutes by foot. You can enjoy a stroll along the River Thames' South Bank to The London Eye, Big Ben and Westminster, approximately 1.5 miles away. 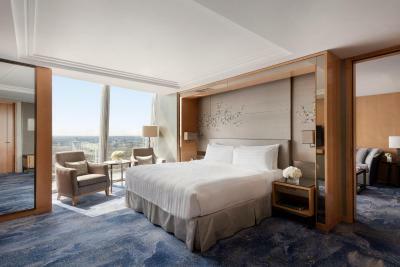 When would you like to stay at Shangri-La Hotel at The Shard, London? 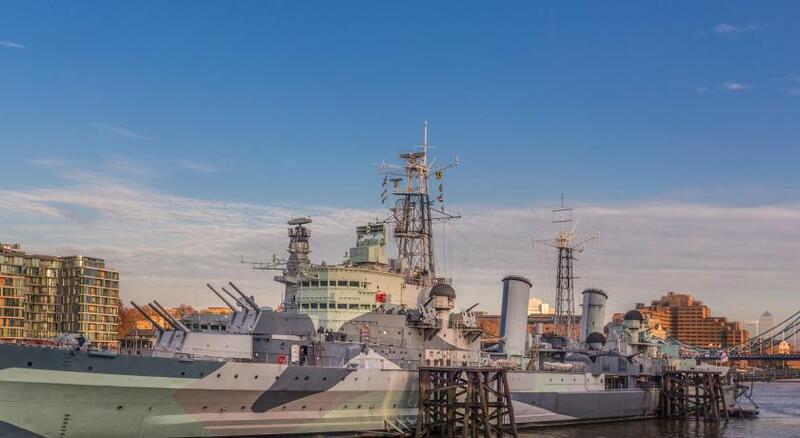 This room has unparalleled northerly and easterly views, including some of London’s most famous landmarks. Features include a king Shangri-La Bed, a designer TV, iPod dock, coffee machine, complimentary Wi-Fi and a set of binoculars. Public parking is available on site (reservation is not possible) and costs GBP 50 per day. Public parking is available at a location nearby (reservation is not possible) and costs GBP 50 per day. This room has stunning views of the counties of Kent, Surrey and Sussex. Features include the Shangri-La Bed, a designer TV, iPod dock, coffee machine, complimentary Wi-Fi and a set of binoculars. This room has an unbeatable view, including some of London’s most iconic landmarks. Features include the Shangri-La Bed, a designer TV, iPod dock, coffee machine, complimentary Wi-Fi and a set of binoculars. 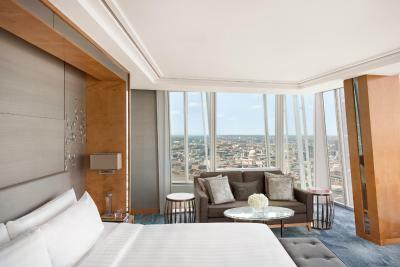 This room has unbeatable triple-aspect views, including some of London’s most iconic landmarks. Features include the Shangri-La Bed, a designer TV, iPod dock, coffee machine, complimentary Wi-Fi and a set of binoculars. One-bedroom suite with a separate living room and working area. Features include a sofa bed in the living area, a full-size executive writing desk and climate controls. This spacious room has contemporary furnishings and far-reaching vistas. This one-bedroom suite offers a dressing room, separate living room, working area, guest washroom and a personal butler service. The large marble-clad bathroom has a bathtub, heated floors, a separate glass-enclosed shower and a Washlet toilet with a heated seat. 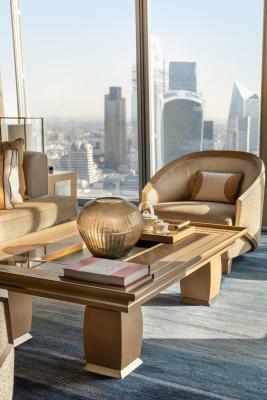 The suite features floor-to-ceiling windows providing unparalleled views of London, from St. Paul’s Cathedral, the City of London, the Tower of London and Tower Bridge to the meandering River Thames along Canary Wharf. Breakfast and welcome amenities included. Please note that the property will send special terms and conditions after booking for the New Years Special. This must be confirmed by the guest and send back to the hotel before check-in. 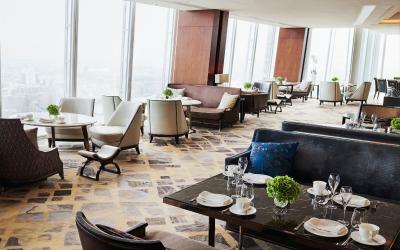 Shangri-La Hotel, At The Shard, London is the first elevated luxury hotel in the city. 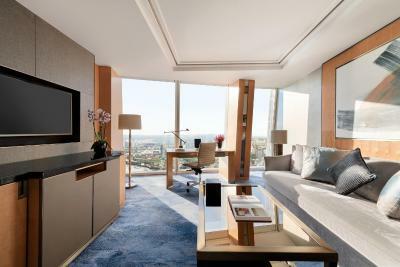 It offers 202 guestrooms and suites – located on levels 34 and 52 of The Shard, Western Europe’s tallest building. With unparalleled views across London, the hotel features several signature dining venues and three river-facing event spaces. Level 52 of the hotel is home to Western Europe’s highest infinity pool and bar, as well as a 24-hour gym. 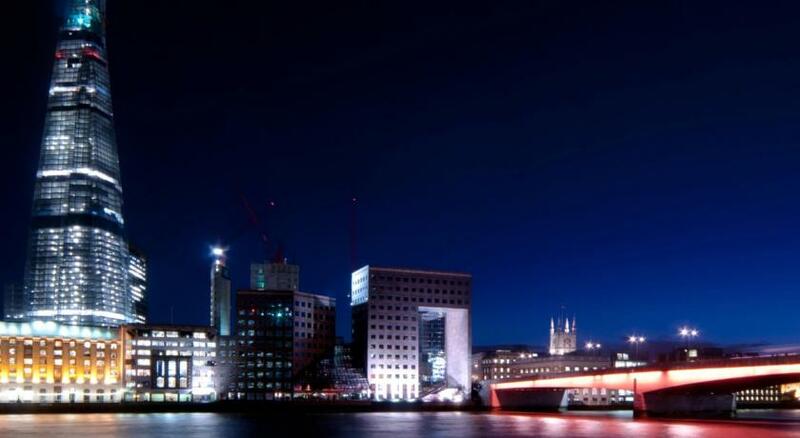 The iconic building was designed by internationally acclaimed architect Renzo Piano and is located on the South Bank of the River Thames. 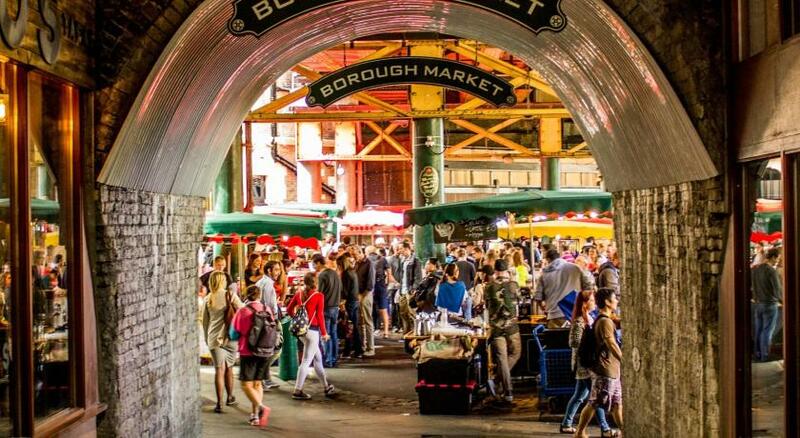 The hotel is nearby the financial hubs of the City and Canary Wharf; and within walking distance to London’s surrounding landmarks including the Tate Modern, the Tower of London, St. Paul’s Cathedral, Shakespeare's Globe and Borough Market. 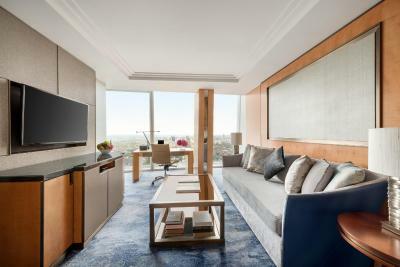 The hotel’s 187 guest rooms and 17 suites inclusive of three signature suites are located on levels 36 to 50, and all offer unobstructed views across London. 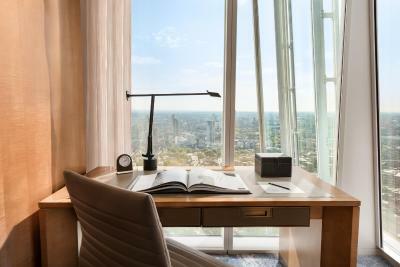 The design layout of each room is unique due to the Shard’s spire shape, yet each guest room features an exquisite, soothing colour scheme and mood lighting, enabling guests to escape the bustling city below and relax. Hotel surroundings – This neighborhood is a great choice for travelers interested in city walks, tourist attractions and monuments – Check location Excellent location – show map Guests loved walking around the neighborhood! 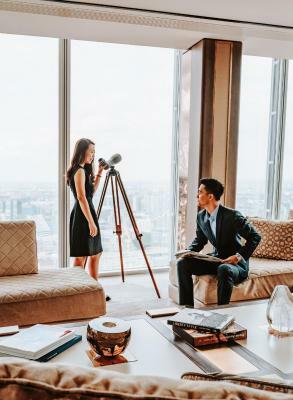 House Rules Shangri-La Hotel at The Shard, London takes special requests – add in the next step! One child or adult is charged GBP 75 per person per night in an extra bed. Shangri-La Hotel at The Shard, London accepts these cards and reserves the right to temporarily hold an amount prior to arrival. Advanced bookings for the restaurant and bar are strongly recommended. Availability at TĪNG restaurant and lounge and GŎNG cannot be guaranteed without prior booking. Visits to Bar 31 do not require a prior reservation. Please note that the 3-course lunch booked as a supplement in TĪNG restaurant also requires prior booking to make sure availability can be provided. 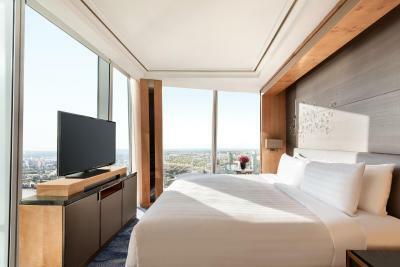 All breakfast-inclusive rates refer to Ting restaurant on level 35. In-room dining is available at a surcharge. Please note that for the New Years Special, the property will send special terms and conditions after booking. This must be confirmed by the guest and send back to the hotel before check-in. We didn't like leaving. Everything else was perfect - well, if I was incredibly picky (just to say something) I would say that there could be a better choice of eggs as part of the breakfast;) but even then they made me eggs to suit my diet and the breakfast was delicious. An absolutely outstanding experience in every way. An amazing hotel with the most fabulous views of London. The staff were extremely attentive, professional, knowledgeable, efficient and friendly. The room (Iconic King) was beautiful and perfect, like a suite, with the best views of London I have ever seen. 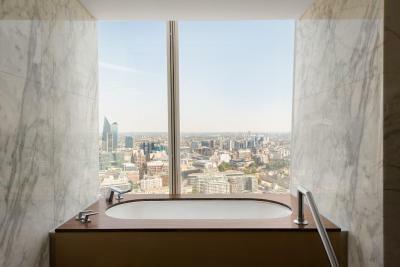 We were also lucky to have a bath with a view (not all iconic rooms have them). The swimming pool is also simply luxury in every way, with infinity views across London. But it was the service that was so special, from the afternoon tea waiter who kissed my daughter's hand, to the pool staff who hand you the towel as you leave the water, to an exceptional dinner waiter, great check in staff and a manage who found you at breakfast to check if everything was OK, and an anniversary cake in our room - and other staff who knew it was our anniversary, to the doorman who wished us a happy onward journey. Everyone was genuinely wonderful and incredibly well trained and motivated. Simply superb, and a step above all other five star hotels I have stayed in. We were so sad to leave. Breakfast and drinks were pricey but it’s the shard in the middle of London so it is to be expected. *The views... WOW!! *The bath with a view was lovely & so relaxing at night. *The bed is very comfortable. 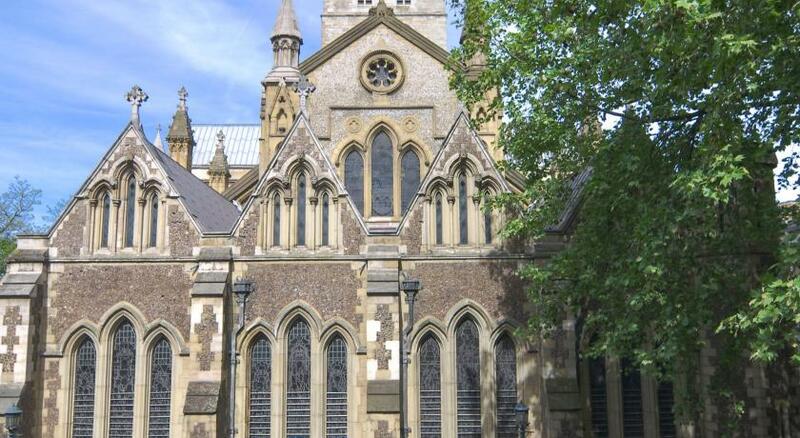 *The Staff are amazing & we liked that they weren’t over the top posh wise! *We felt very comfortable & not out of place for a more up market hotel. *The little touches the hotel did for my husbands 30th was so lovely. The bed was insanely comfortable, we slept through our alarm! Excellent staff the service is unreal they make you feel very welcoming and comfortable!! Room was great with nice view of city as expected . Tv in bathroom mirror and heated toilet seats were amazing , what more can I say ! The staff were wonderful. Always welcoming and friendly. Thank you so much for the birthday cake and to the concierge for arranging a table in Hutong at such short notice. All in all I can highly recommend a stay at this fabulous hotel, oh and the views are probably worth a mention too.